It was a pleasant evening; the climate was around 20°C in the Sunshine Coast in Queensland. I was relaxing outside my room in Rockhampton, slightly excited at the same time anxious about the talk session in the evening on Religion and Psychology. I was excited because I was planning the session in Socratic Method. I thought about this method for two reasons. i) this is my favorite method of teaching, ii) the lecture was arranged in a cafeteria as coffee-talk. I was anxious because I had no idea about the kind of audience who would gather for the lecture. Let me say something about Socratic Method. I was so fascinated by Socrates while doing my Bachelors. I was fortunate to study Liberal Arts and I attribute many of my critical thinking and analytical ability to Liberal Arts. (It is unfortunate that I am not able to get into an institution that offers Liberal Arts. I will try and get it … no doubt). Coming back to the Socratic Method, it is the most powerful method for understanding and developing knowledge on various topics, and issues and also nurturing critical thinking. Being one of the oldest methods of acquiring knowledge, it is somewhat similar to our Indian gurukul method. 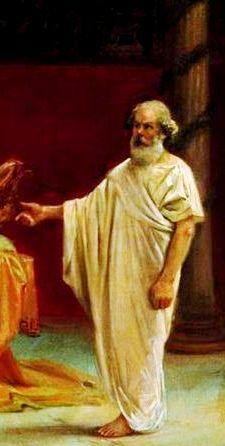 Argument of refutation or denial, cross-examine and interrogate, testing, scrutiny particularly for the use of negation is the central technique of the Socratic Method. In this process, the teacher does not give answers to questions, rather raises questions to the students. It is a kind of dialectical method, supportive argumentative discussion between the teacher and the students, asking and answering questions to stimulate critical thinking. It is a kind of probing into the topic of discussion with stimulating questions and a shared dialogue. 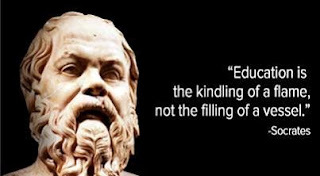 Walter J. Gores puts it beautifully, “the Socratic teacher is not the sage on the stage or guide on the side”. It is the best method to inspire, provoke students to learn more, make learning meaningful and purposeful. This method of learning will be deep, and the knowledge gained will remain forever. As an educational psychologist I use this method and therefore I always arrange one lecture hour in a week for 1 hour 45 minutes (clubbing two lecture hours). As a counselling psychologist, I have adopted this method in my therapy sessions and found it very useful especially with college students.